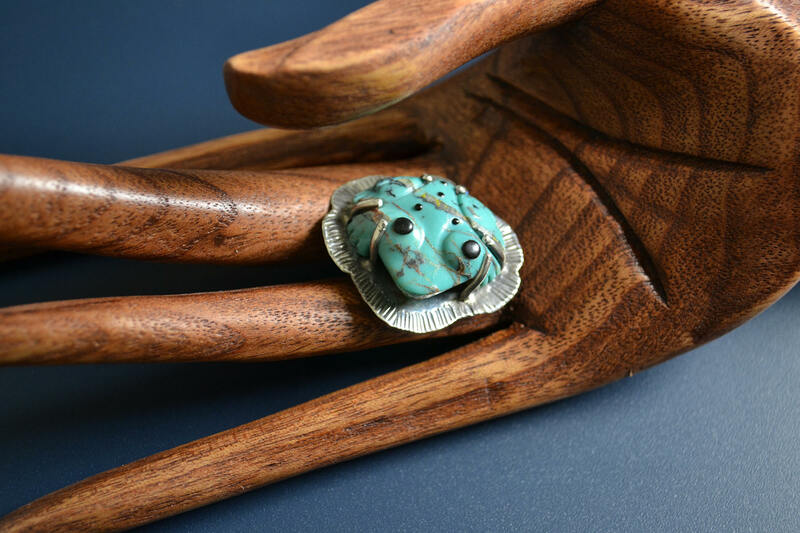 Georgette Quam's frogs are instantly recognizable with their "bright eyes and sweet smile." 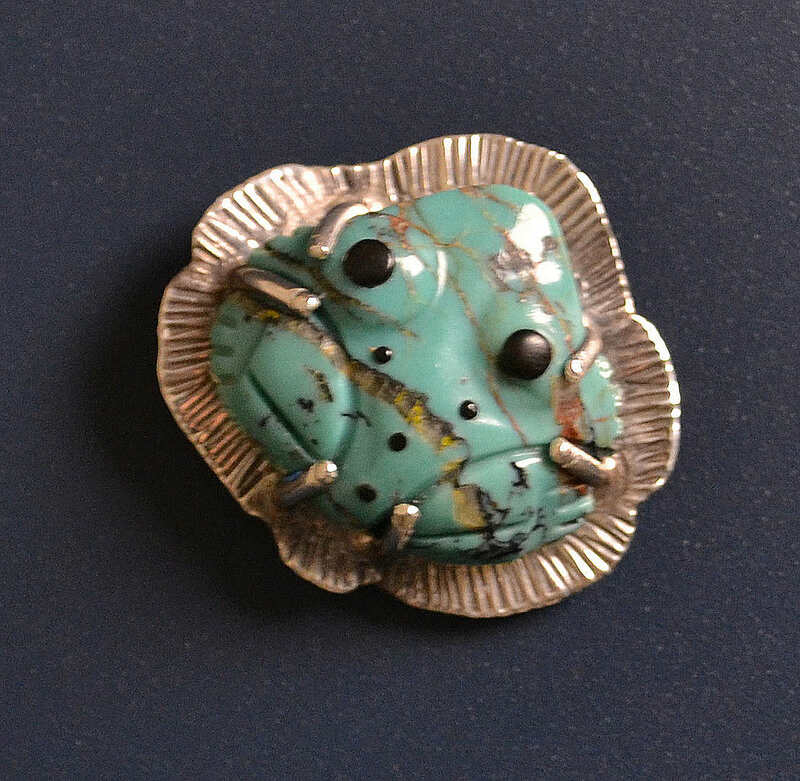 This cute turquoise baby is plopped on a silver lily pad, waiting to sit on your lapel and brighten your day. Many of her pieces appear in McManis. Frog does not appear in Cushing's original work, but the text linked below is a reproduction edition with beautiful photographs and notes on each page surrounding the reproduction of Cushing's text. It says that frog is not considered a fetish animal in Zuni. This is at odds with McManis who says it is the major rain-bringing fetish. 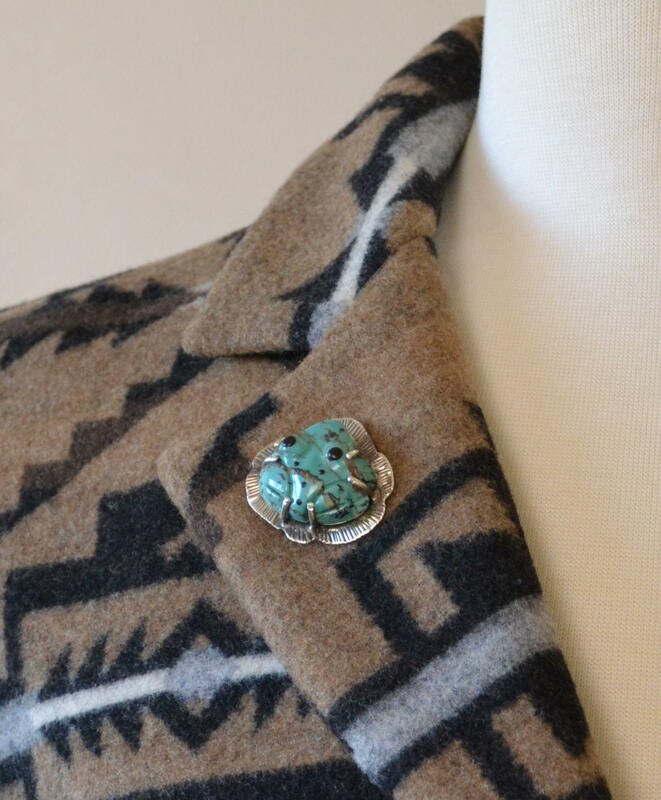 Hohokam frog carvings appeared in jewelry in prehistoric times and today frog is one of the most frequently carved animals in Zuni. Branson shows an exquisite silver squash blossom necklace set with frogs. Please give this sweet frog a home today!